Hot Stones or Deep Tissue? A friend of mine recently gave me one heck of a present, a massage. So I made my reservation and at the appointed time I introduced myself to a lovely young woman and proceeded to get undressed. She offered me the choice of deep tissue or hot stones and naturally I answered “Yes please!” After an invigorating deep tissue massage over my shoulders and the length of my hamstrings she switched to the stones. The stones were kept in a crock pot of water at 125 F, rubbed in oil then she placed two of them on my lower back and the other two were slowly glided over my hamstrings. Wow… Great stuff. 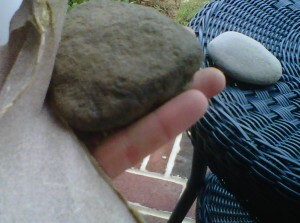 So when I got dressed I lifted the stones out of the pot and took a look at them. 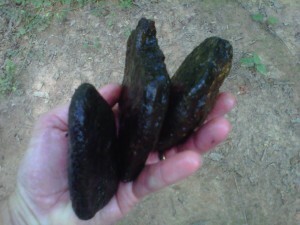 Basalt lava stones that had been sanded down. Later I looked online for a set and Damn! 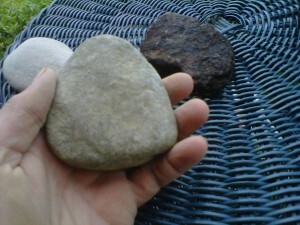 $50.00 for rocks! 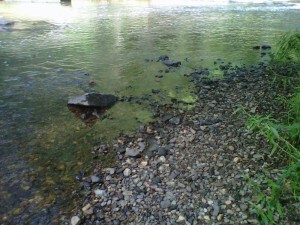 A couple of days later I was driving past the Reedy River so I pulled off and went stone hunting. Now I need to say right now that I am not a massage therapist, I just now how to make a certain woman happy so if you want a real massage may I suggest this place. 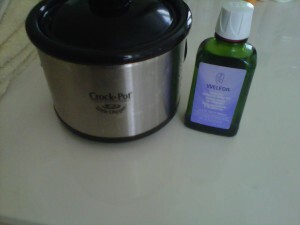 I have a small crock pot that I used to use at the restaurant and you can buy good massage oil at that French department store, Tar-Jhay. 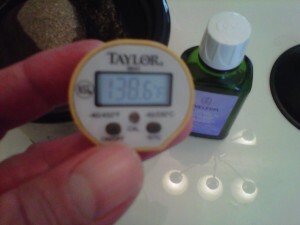 I used a kitchen thermometer to monitor the temperature of the water, Placed the three stones in and about three hours later (at massage time for Mrs. Malik) it read 155. Yikes! 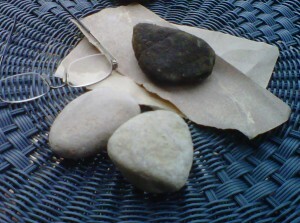 So I pulled the stones out and let them sit until they were very warm to the touch. Remember to rub the stones with oil prior to placing them on anyone’s soft skin 😉 The next time I removed the stones at 138 and it was perfect, still hot but the right temperature for rubbing with oil. Add a nice glass of wine and you’ve got a memorable evening…any wonder why we’ve been married for 25 years? So now you’re cooking rocks, eh? You chefs will try anything. It’s like stone soup. Remember that story? I’d love a hot stone massage. Craft stores sell smooth basalt-ish stones for much much less than that. 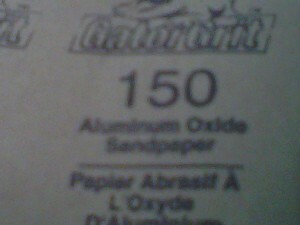 I use them on tom of my potted plant’s dirt. I think I’m in the wrong business. Willing to trade for massage and someone who knows how to cook… rocks, that is….